Penstocks are the most commonly used isolation devices. It requires practically no maintenance. It can have a cast iron body or a fabricated body with exchangeable sealing arrangement made of soft material. It can be manually operated or power operated. Sumiten grade plates for fabrication of Penstock in a hydel Dam project We are offering a wide range of Penstock plates that are fabricated by using high grade raw material. 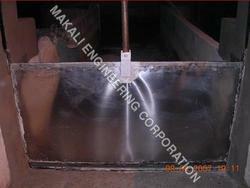 These Penstock plates are specified as per the requirement by our clients.